I am writing this letter to introduce myself and to ask for a brief phone meeting with our CEO and Founder, Craig King. Mr King became aware of (Name of Church) and specifically asked me to make an effort to coordinate a phone meeting with you as (Title) of the Church. He would like to introduce you to a no cost way to identify, connect and equip your marketplace leaders for kingdom ministry. 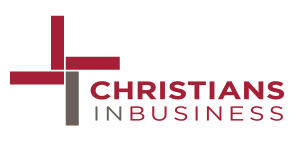 Since 1987, Christians In Business has been helping large churches establish or enhance ministry to their business leaders, the one demographic that has the most potential to support the church. If you would like to view a short 2-minute video to see how one business leader increased his tithes by $15,000 before committing to meet, please click on the link below. Please let me know if a short phone meeting is a possibility. I will look forward to hearing from you soon. Kingdom Press 2016. All Rights Reserved.